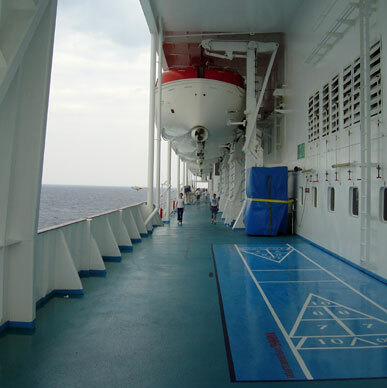 Deck 6 (our deck) had a jogging track all the way around it. This is the port side. 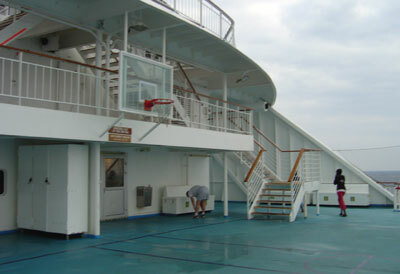 The aft section also had a basket ball court. 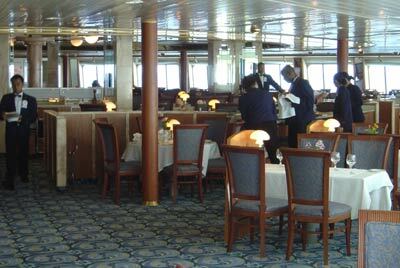 This is the Seven Seas, one of the nicer restaurants on the ship. Almost sad to come home after 7 days of doing nothing.